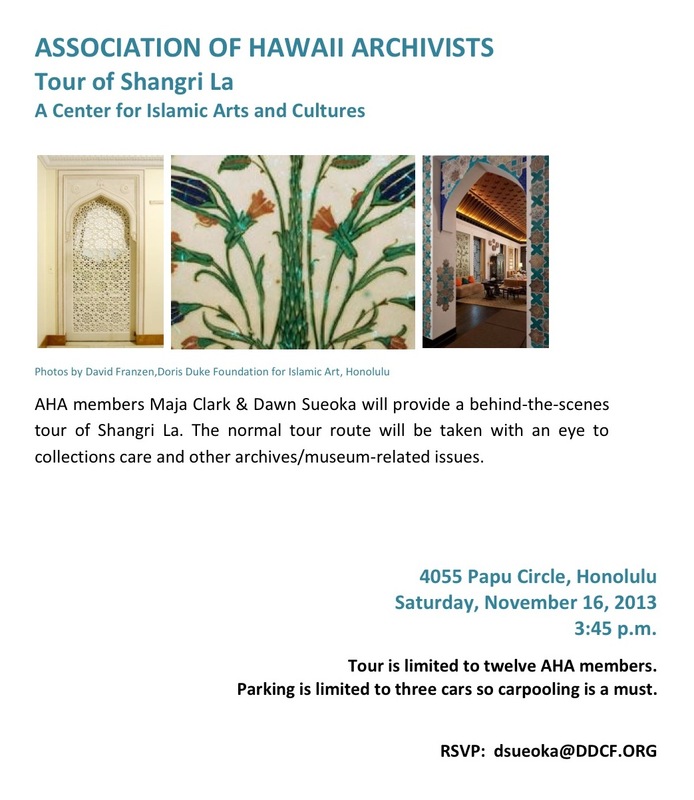 AHA is pleased to sponsor a site visit and behind-the-scenes tour of Shangri La: A Center for Islamic Arts and Culture on Saturday November 16, 2013 at 3:45 pm. Your friendly guides will be Maja Clark and Dawn Sueoka. Space is limited to 12 attendees, so RSVP early to reserve your spot. You won’t want to miss this special event!